We are a leading coach operator located in North West England, with an enviable reputation for providing quality, reliability and value for money based on over 40 years’ experience. Our excellent quality and service is maintained with a modern fleet of vehicles operating from 2 depots in Runcorn and Manchester backed by 200 experienced staff dedicated to the safety and comfort of our customers. 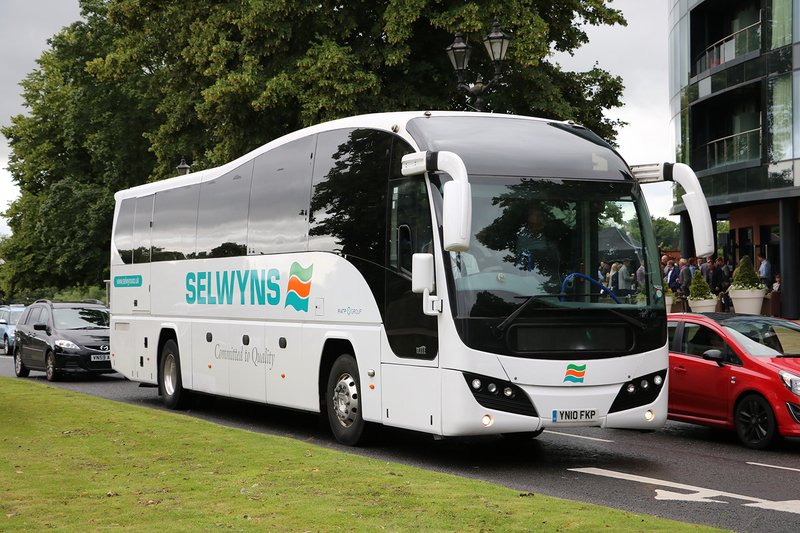 Selwyns Coach Hire offers a range of transport solutions including corporate, private coach hire, contract services, schools & colleges and tour planning throughout the UK and Europe. We are proud to be members of recognised industry bodies and associations. This demonstrates our commitment to quality, safety and excellent customer service standards. More importantly, at Selwyns Travel we are committed to exceeding our customers expectations, as our reputation is something we’re incredibly proud of. Selwyns Travel is part of the RATP Group, the world’s fifth largest public transport operator, with a turnover of £5.5 billion. Headquartered in Paris, RATP group comprises of bus, tram and train operators all over Europe, Asia, Africa and the Americas. Formed in 1985, the Guild of British Coach Operators represents over 20 of the UK’s top coach companies. Membership isn’t about who has the shiniest coaches – membership is only open to well-established coach operators who operate to the highest standard, and who share a commitment to quality and striving to give the best service to our customers. The Confederation of Passenger Transport is recognised by the government as the voice of the bus and coach industry, and the focus for consultation on legislation, regulations, operational practices and engineering standards. Selwyns Travel was founded in 1968 by the late Robert Alun Jones, father of the current Managing Director, Selwyn Jones. In 1979 we acquired Yates Tours, one of the largest coach operators in the region. In 1984 we opened our base at Manchester Airport, acquiring another leading airport operator, Starline Travel, in 1996. In 2006 Selwyns Travel acquired Hardings Tours of Liverpool, adding Haytons of Manchester to the family in 2011. Many of our staff have worked for us for many years and really know the business. Our managers and organisers are seasoned industry professionals who know all about route planning and people moving, ensuring that the best possible care is taken of all our customers at all times. 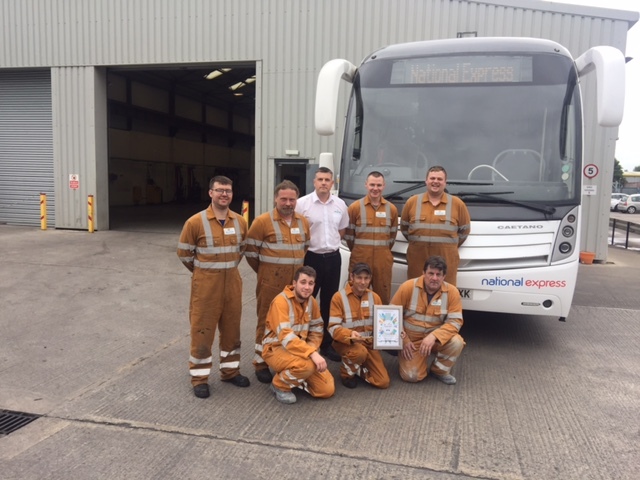 Meet Manchester’s proud team of Engineers, who recently won the National Express ‘Golden Spanner’ award! Whatever their role, Selwyns people undergo either in-house or external training through recognised industry association courses including Driver Training, Customer Care, Defensive Driving, Vehicle Maintenance, Workshop Practice and Transport Management. Selwyns Travel Limited and its associated companies are committed to a policy of maintaining a safe working environment and promoting safe working practices through an active Safety Management System in accordance with the Health & Safety at Work Act 1974. The company operates a strict Drugs and Alcohol Policy. It is Selwyns policy to constantly monitor and improve its activities, and that of its suppliers, in order to minimise its effect on the environment and to strive to comply with all current legislation, and appraise all staff of their responsibilities.